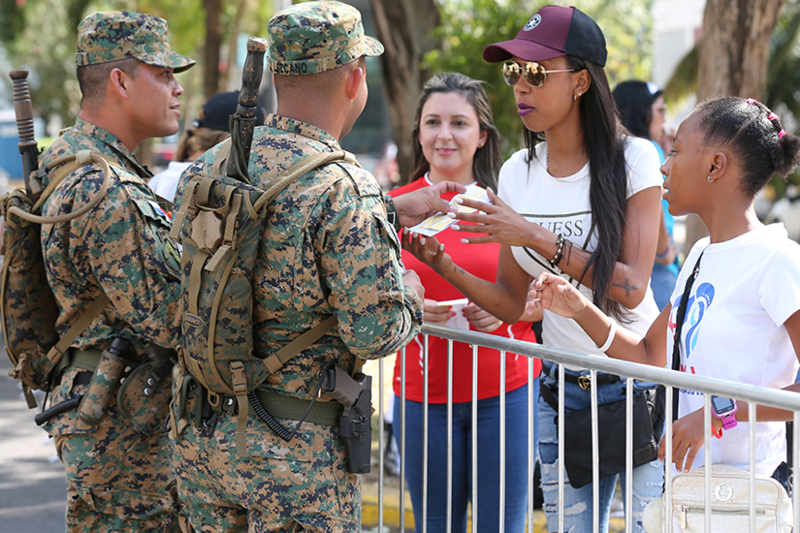 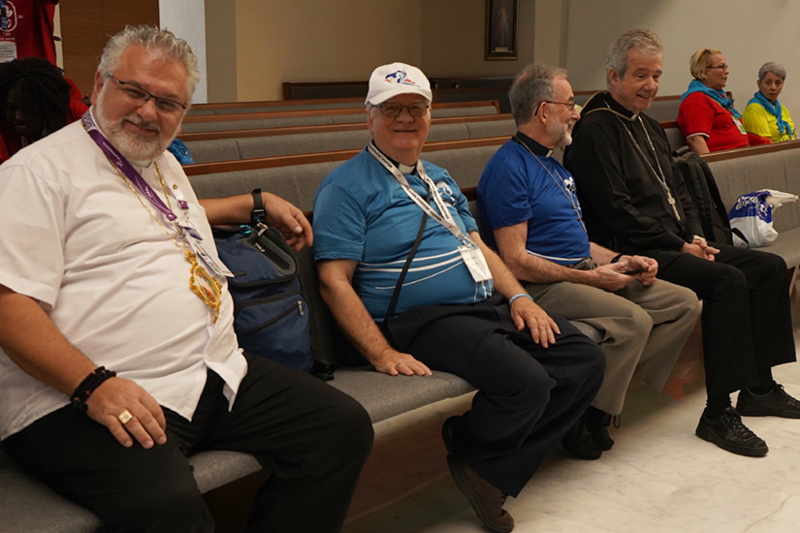 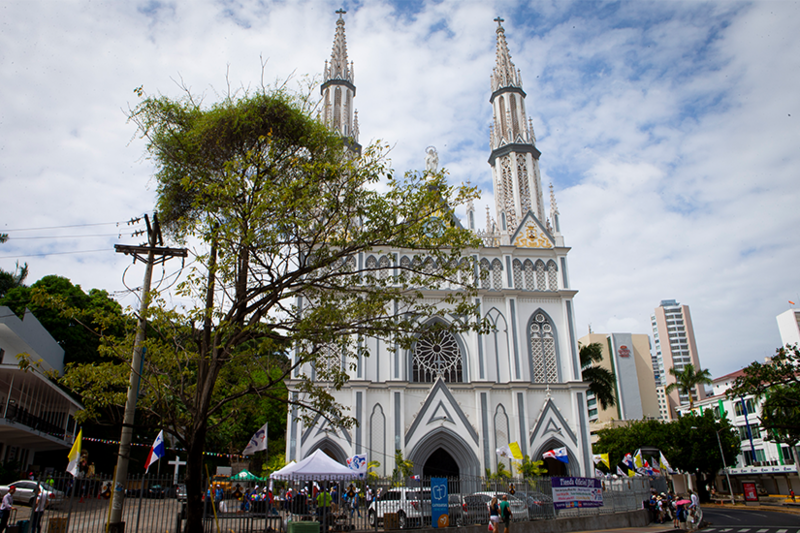 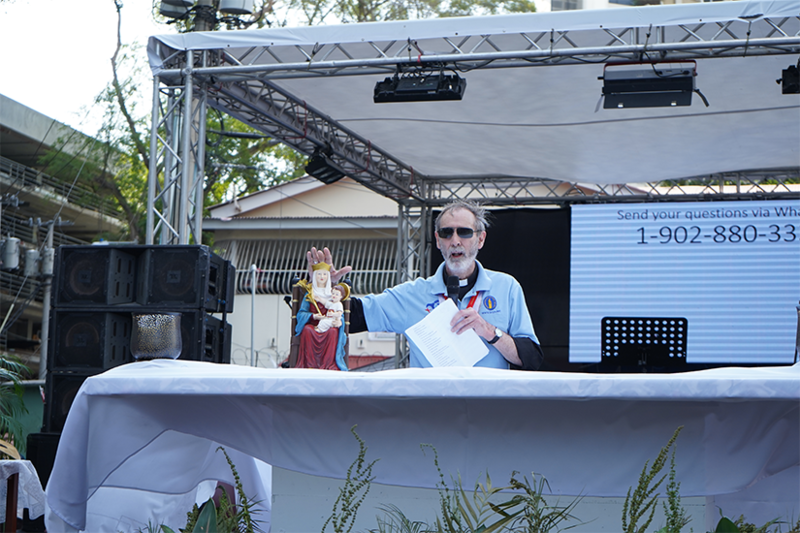 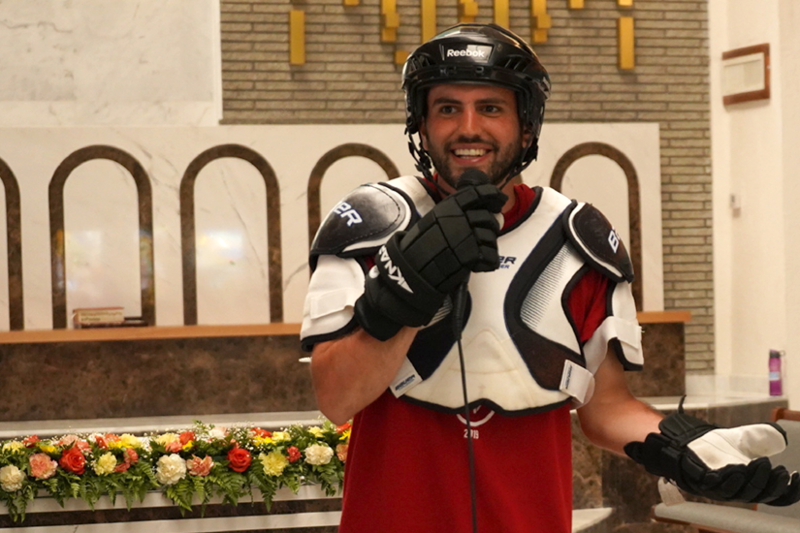 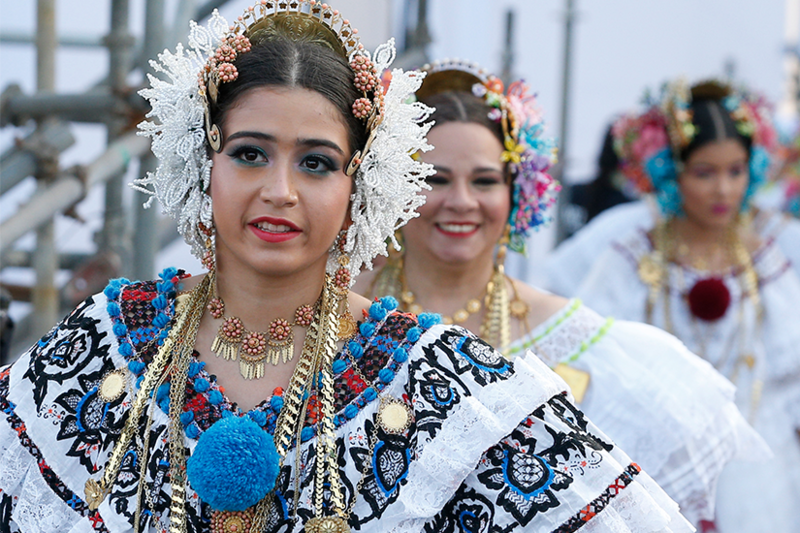 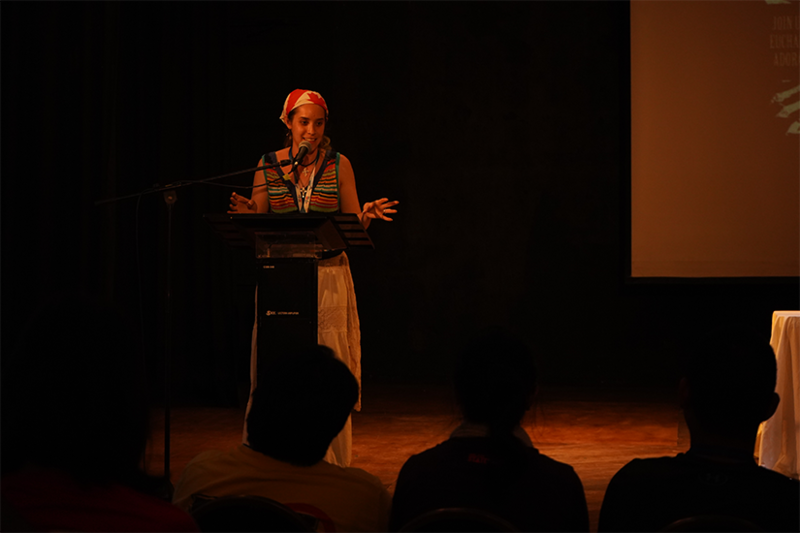 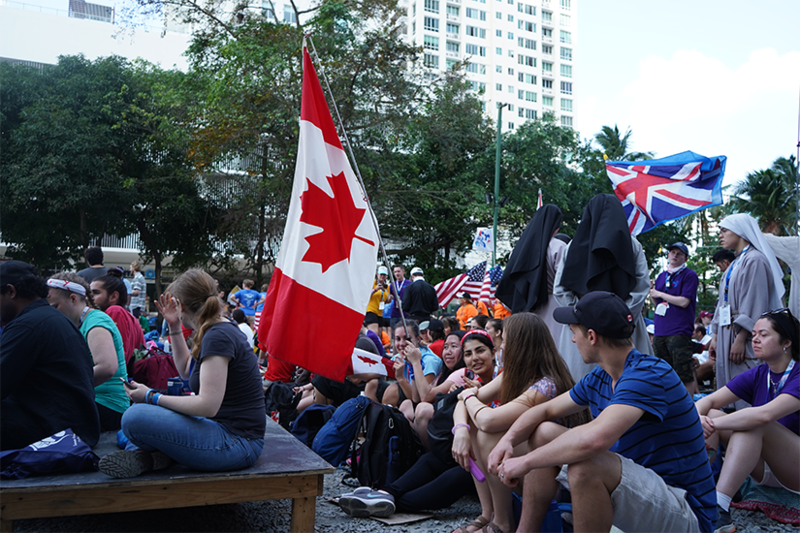 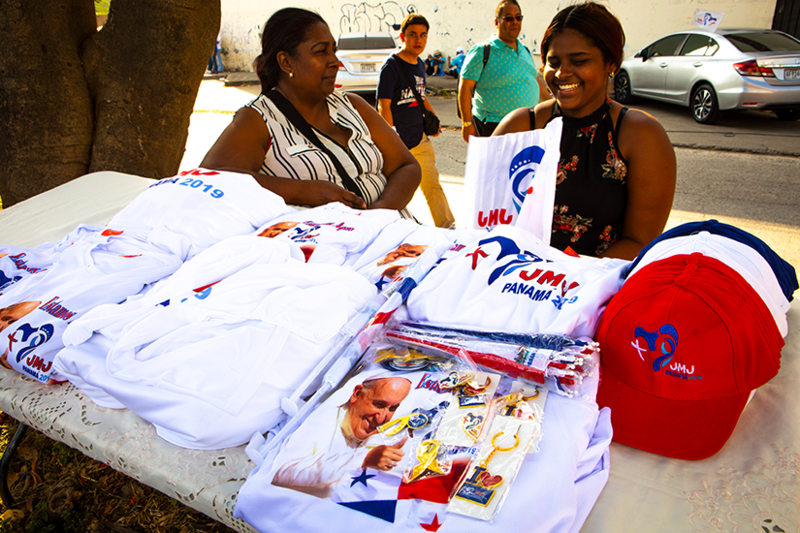 “Don’t be shy,” World Youth Day Canada co-ordinator Isabel Correa told more than 500 Canadians gathered Our Lady of Guadalupe Parish in Panama on Jan. 22. 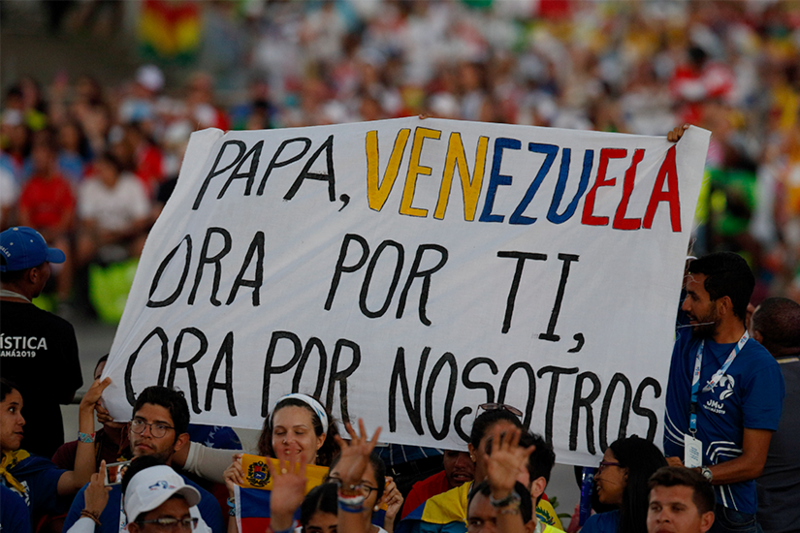 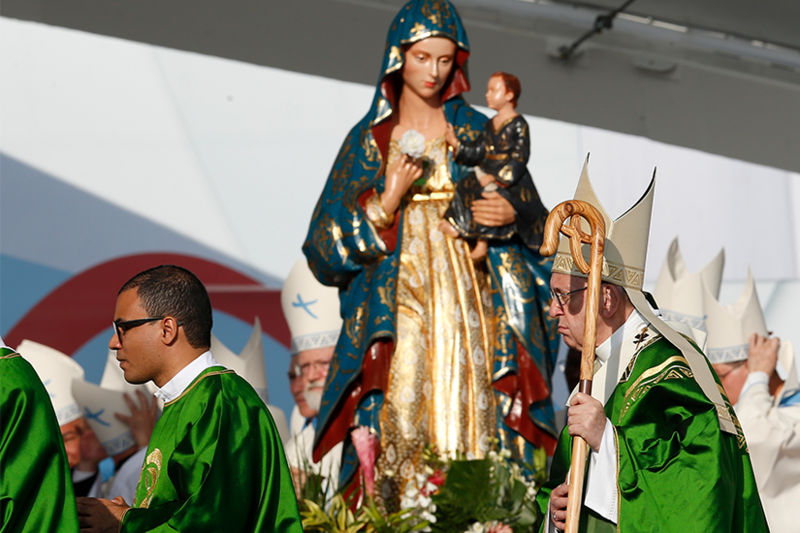 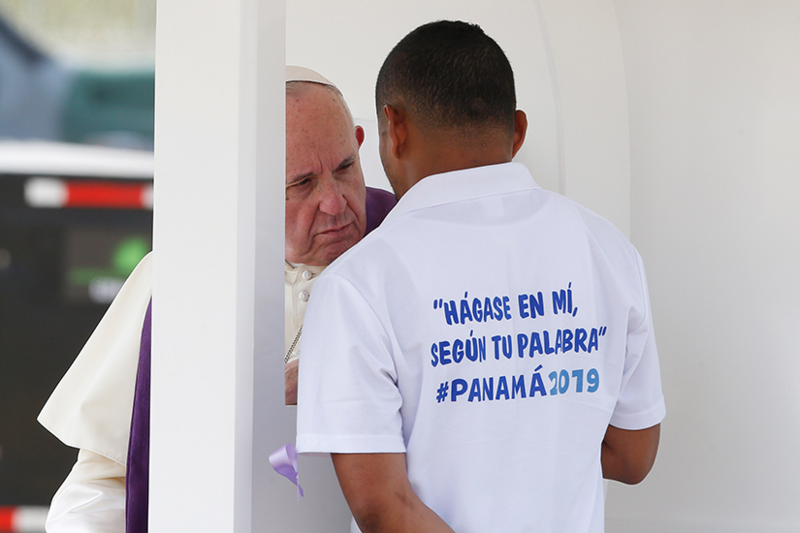 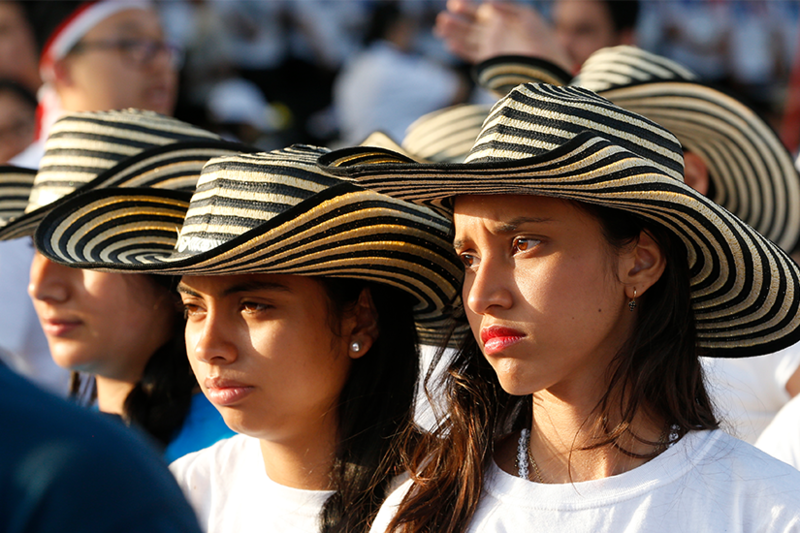 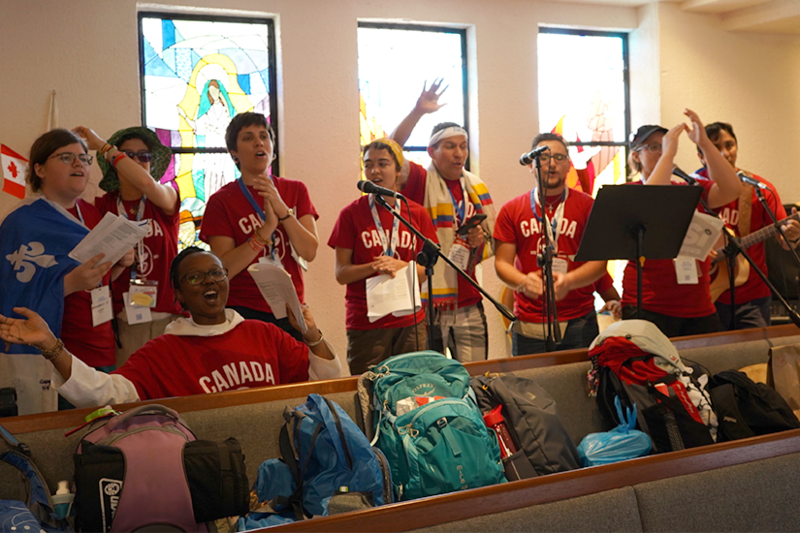 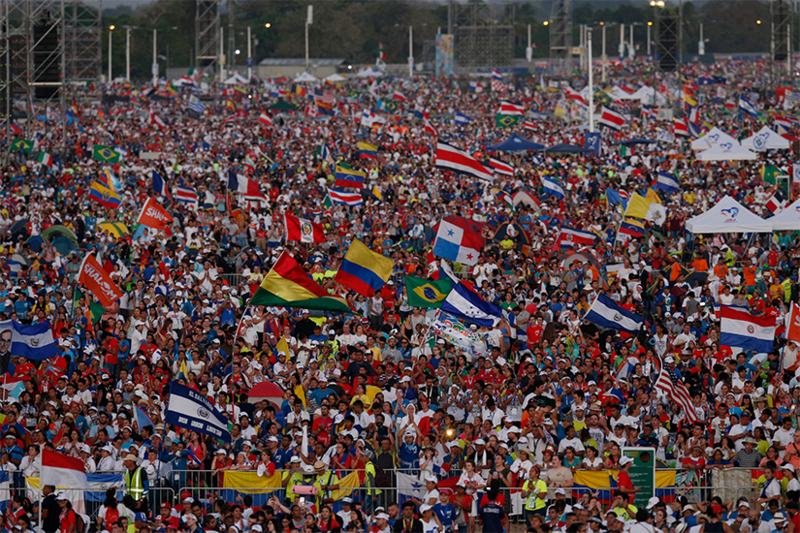 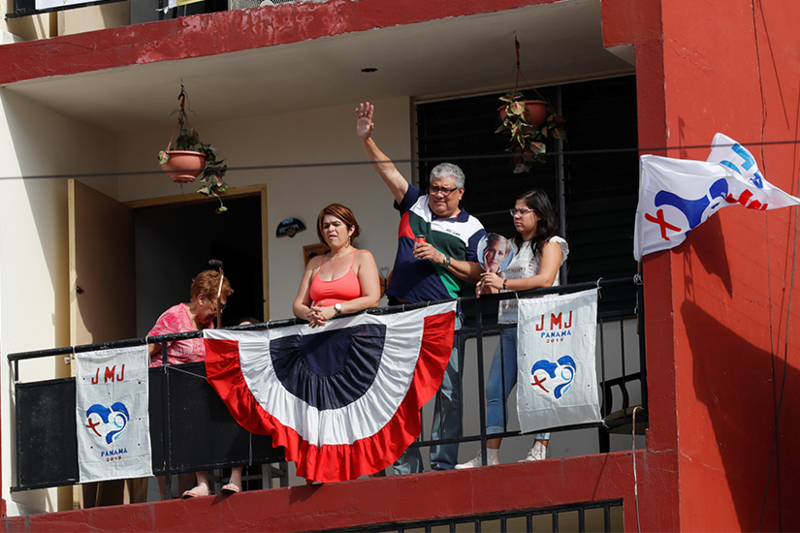 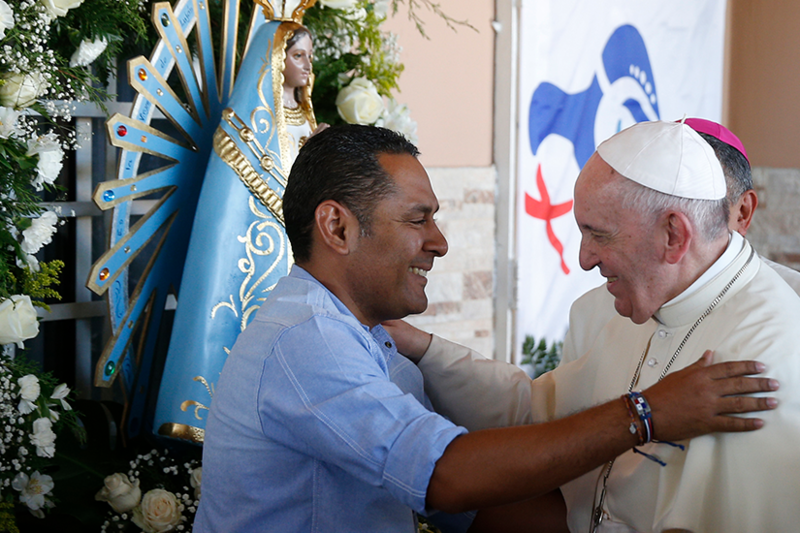 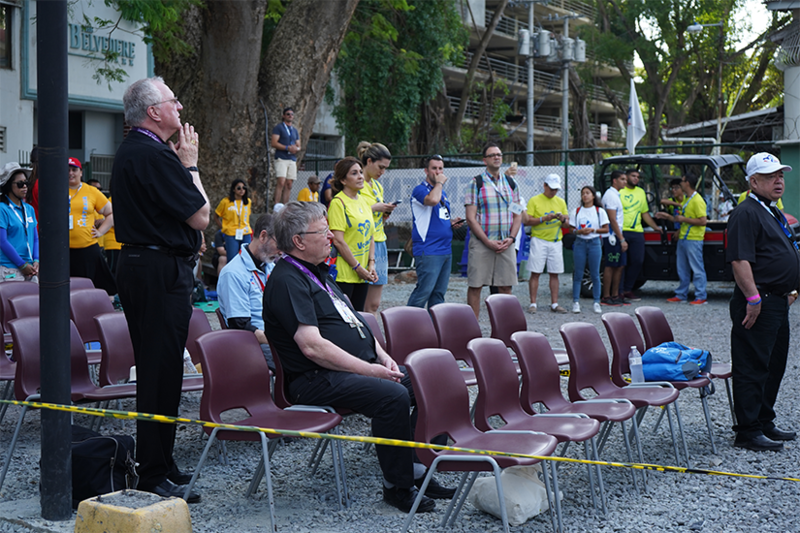 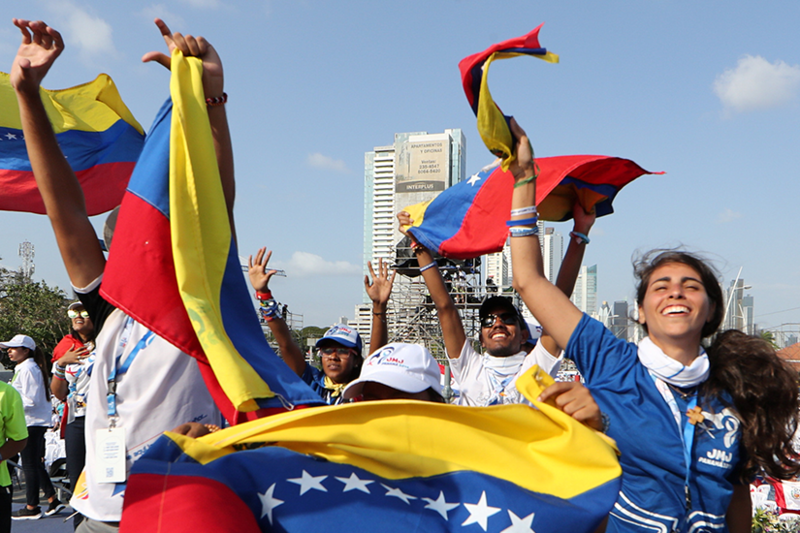 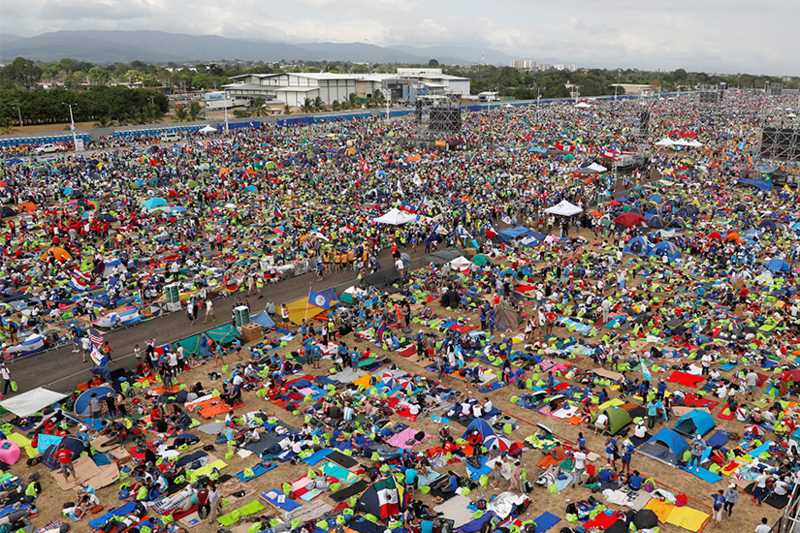 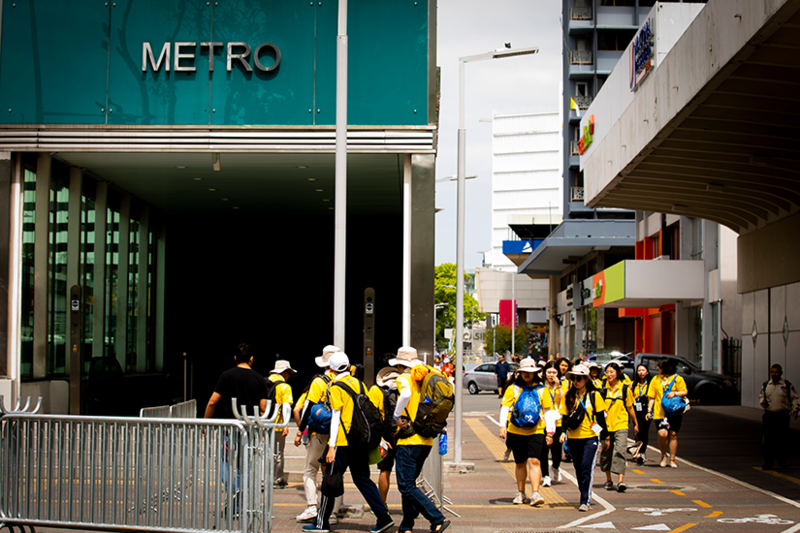 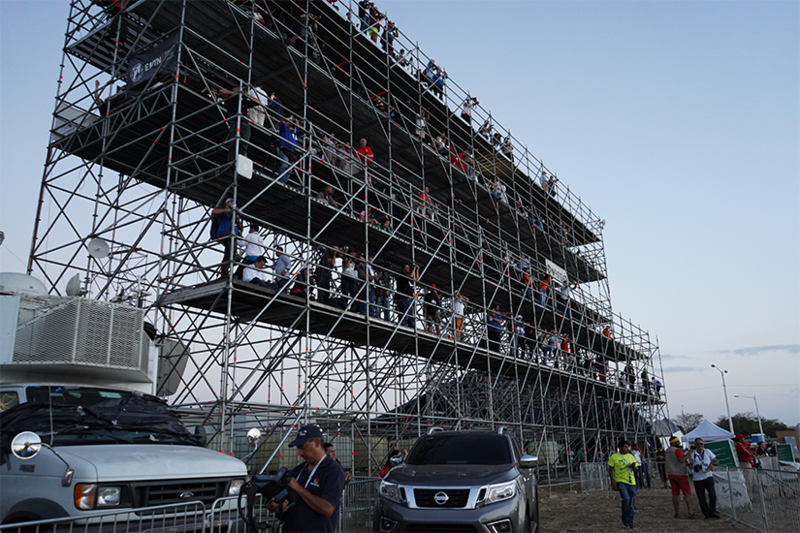 Correa’s advice to Canada’s pilgrims came on Day 1 of the 15th edition of World Youth Day. 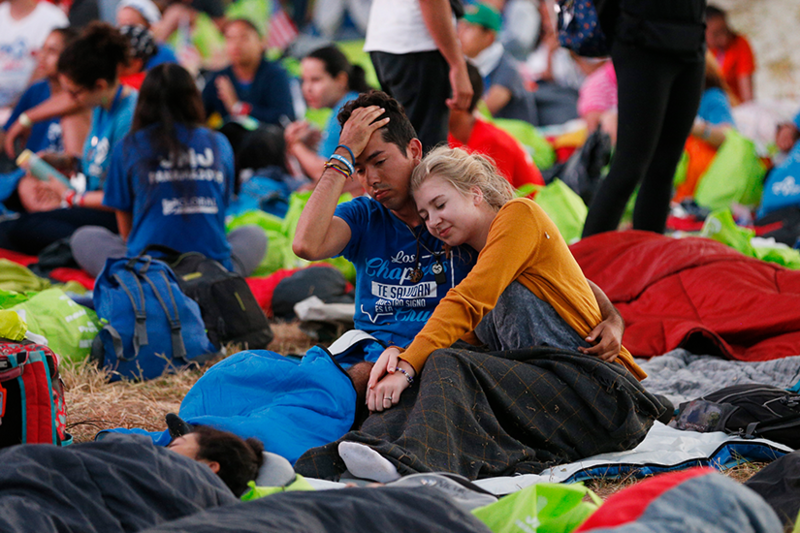 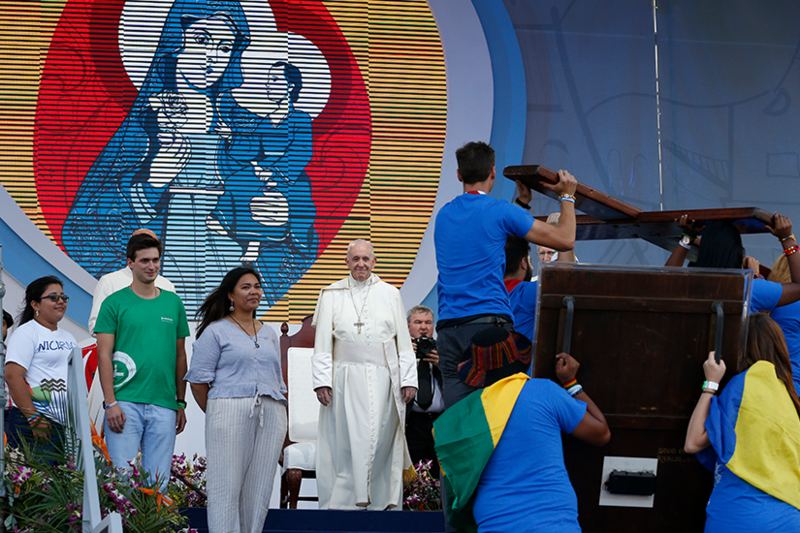 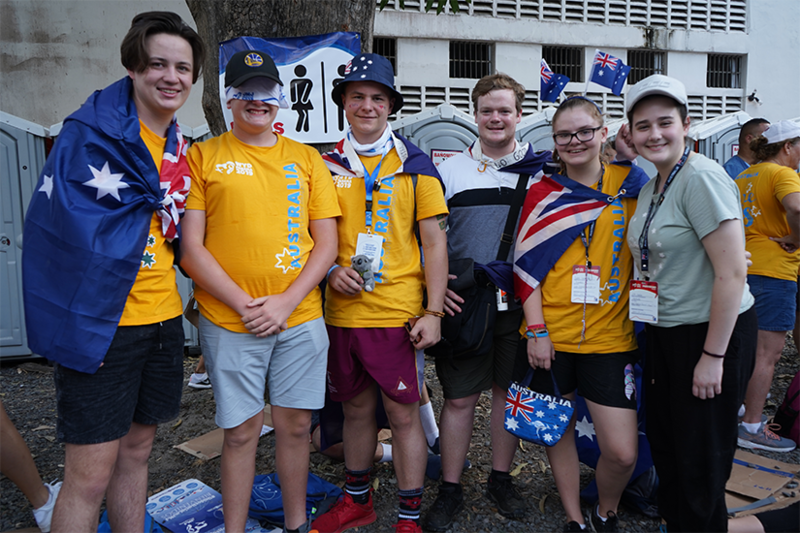 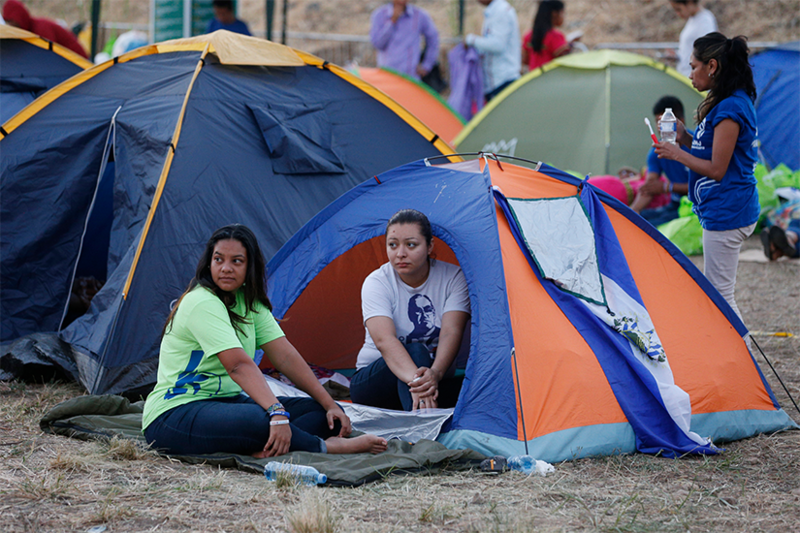 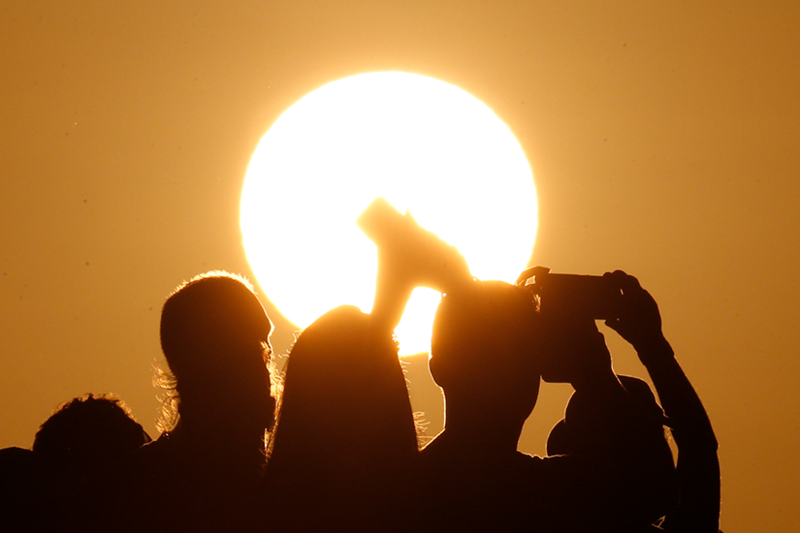 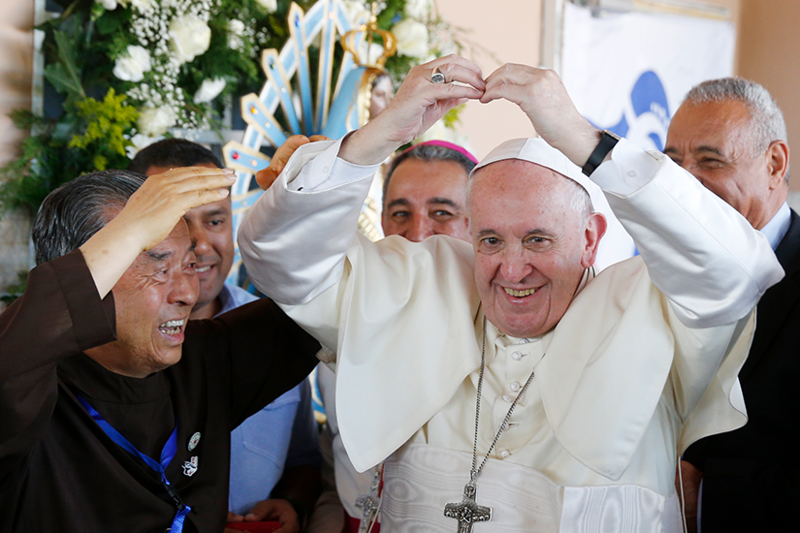 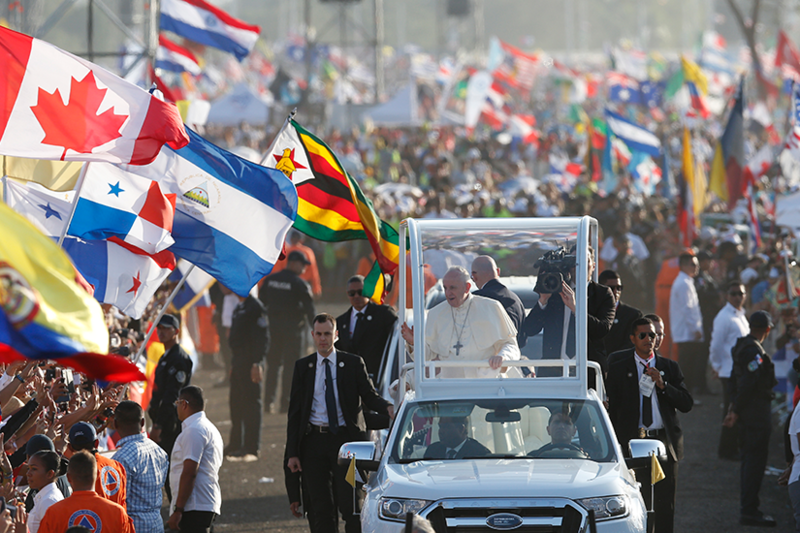 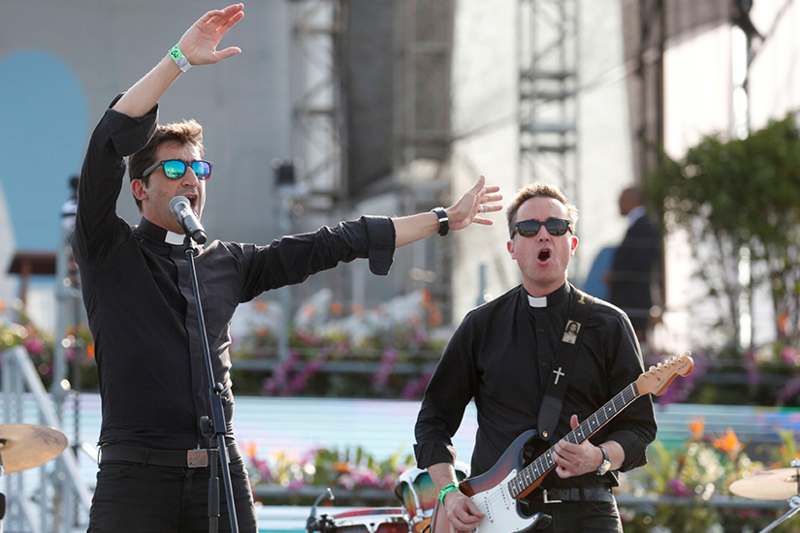 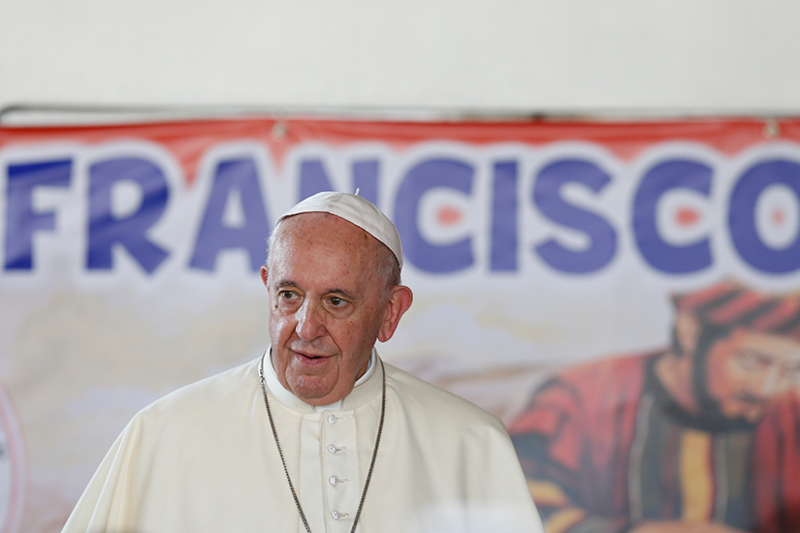 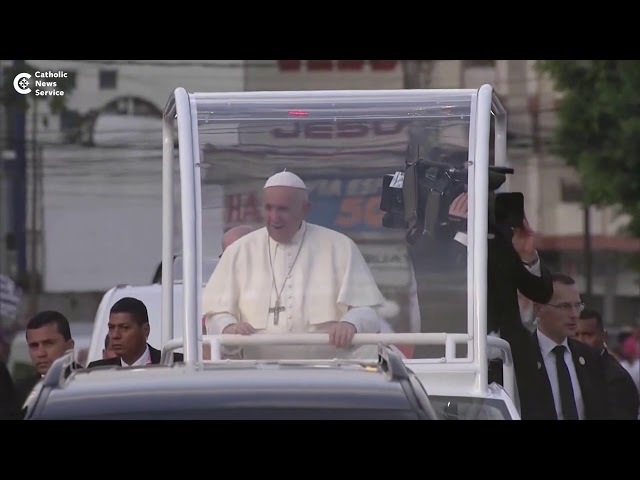 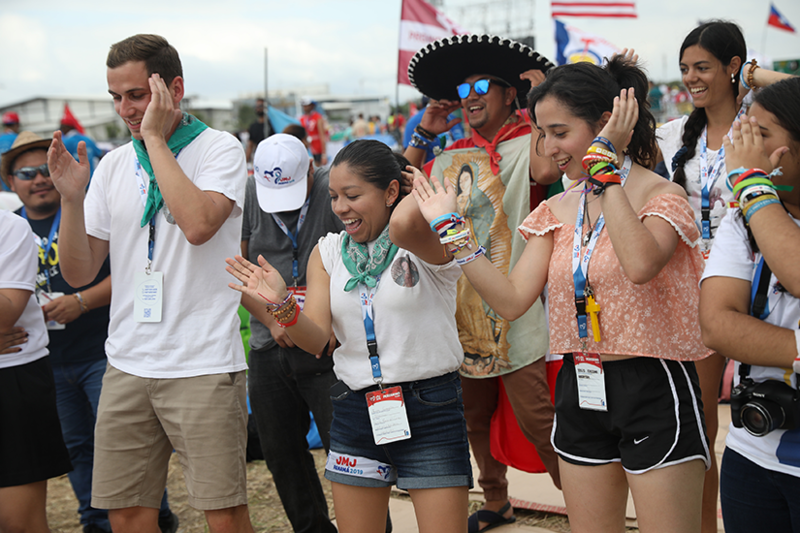 Hundreds of thousands youth from around the world have gathered for six days of celebration and reflection on their faith, accompanied by Pope Francis. 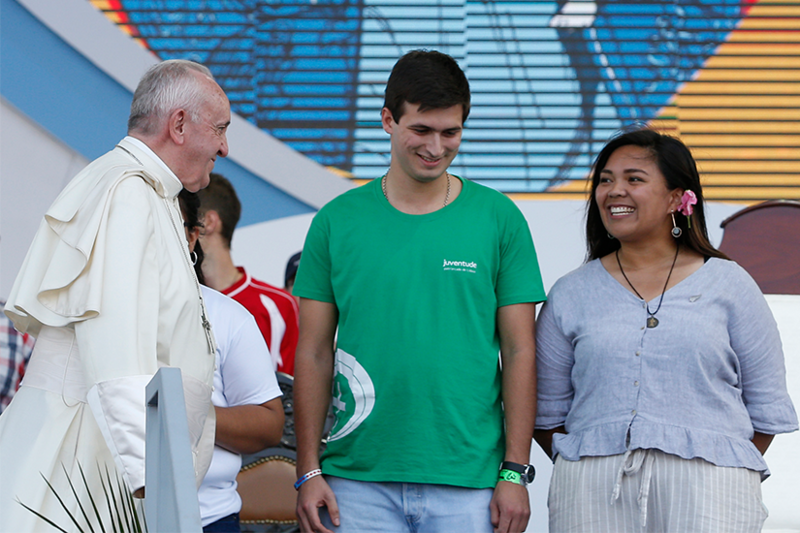 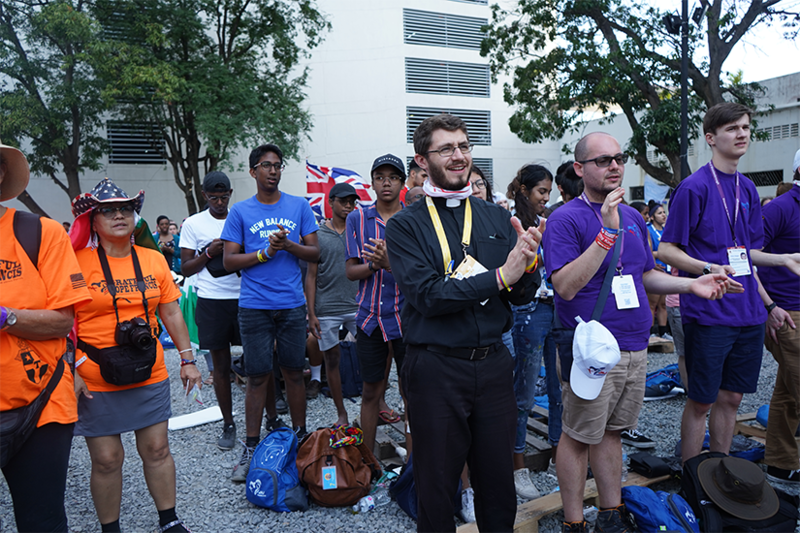 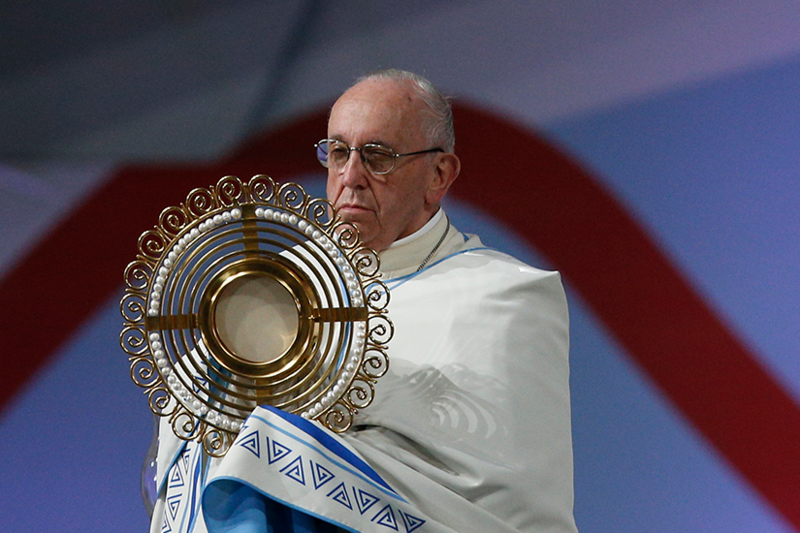 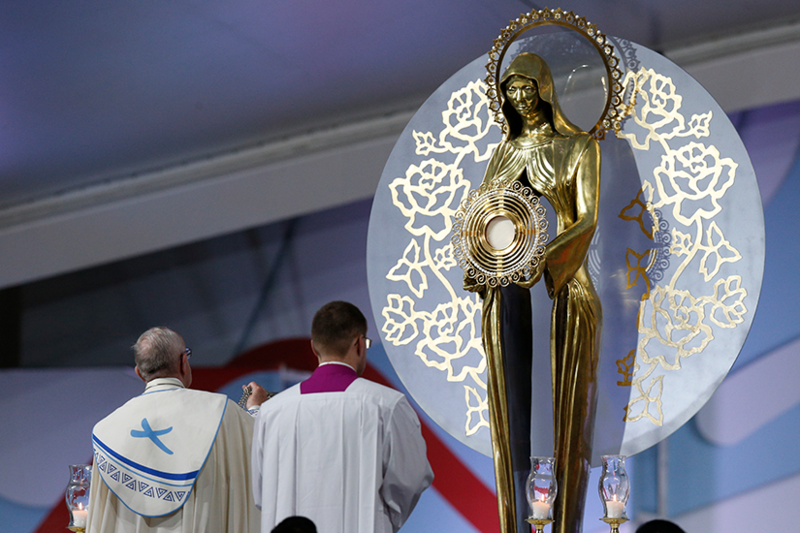 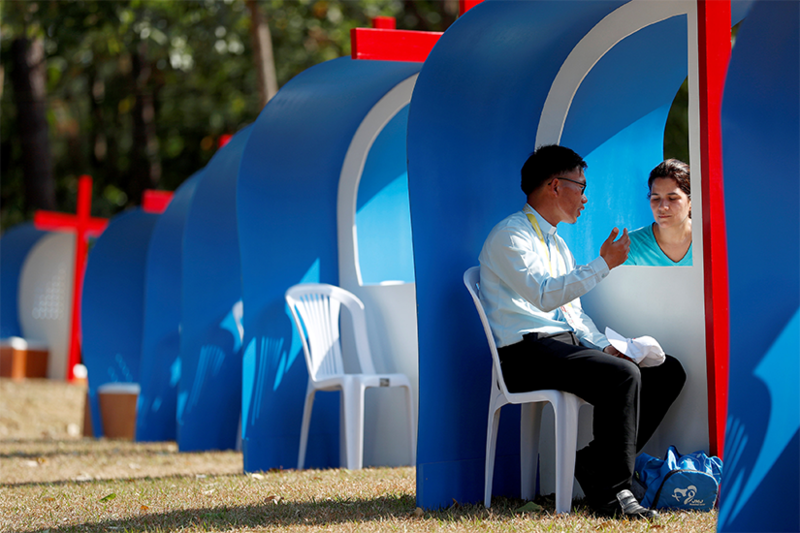 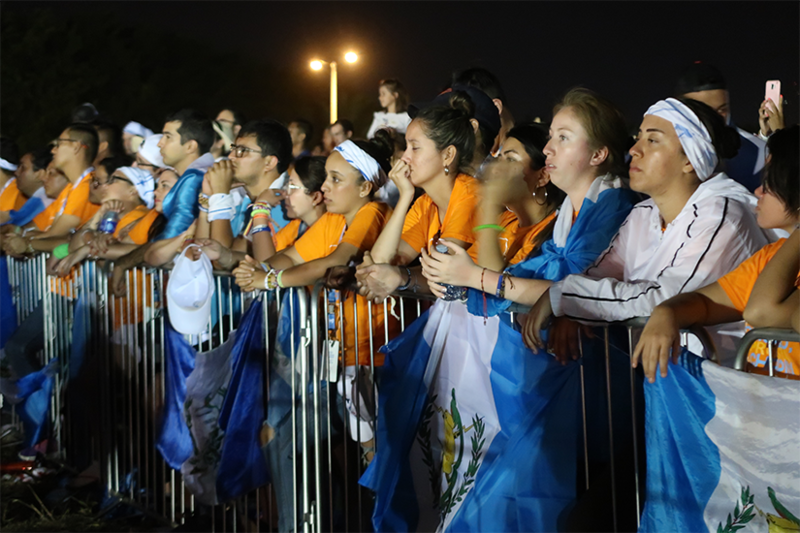 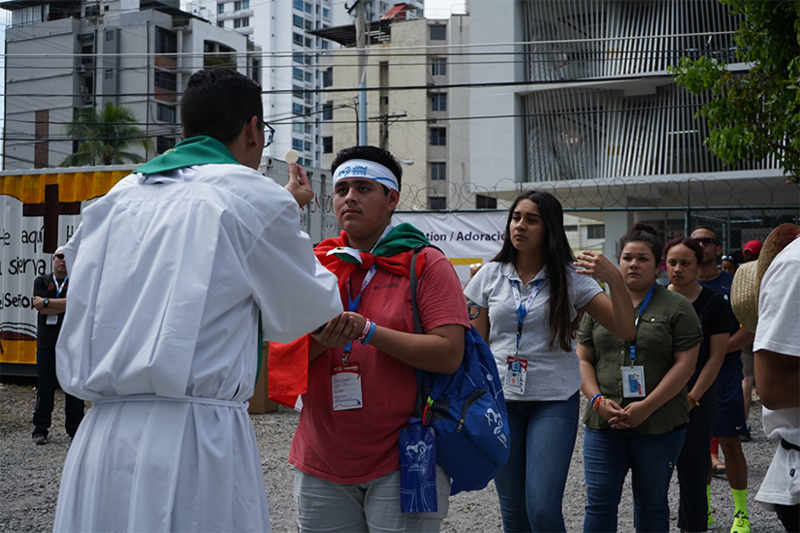 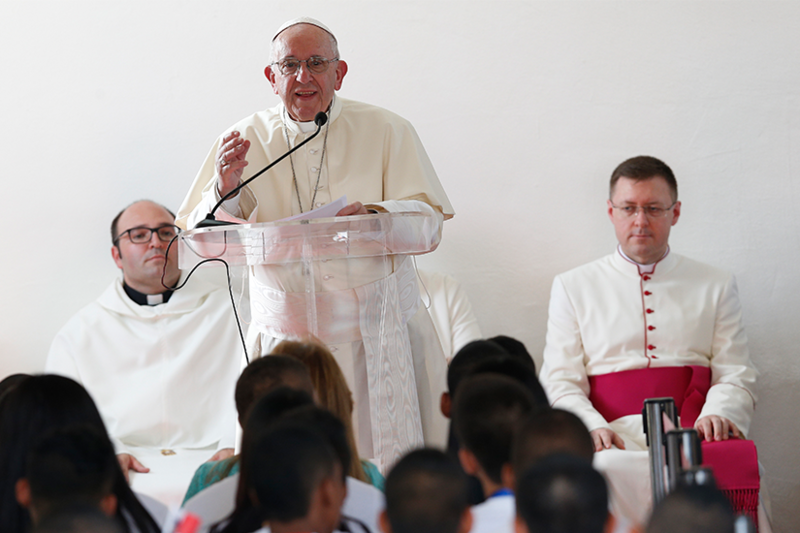 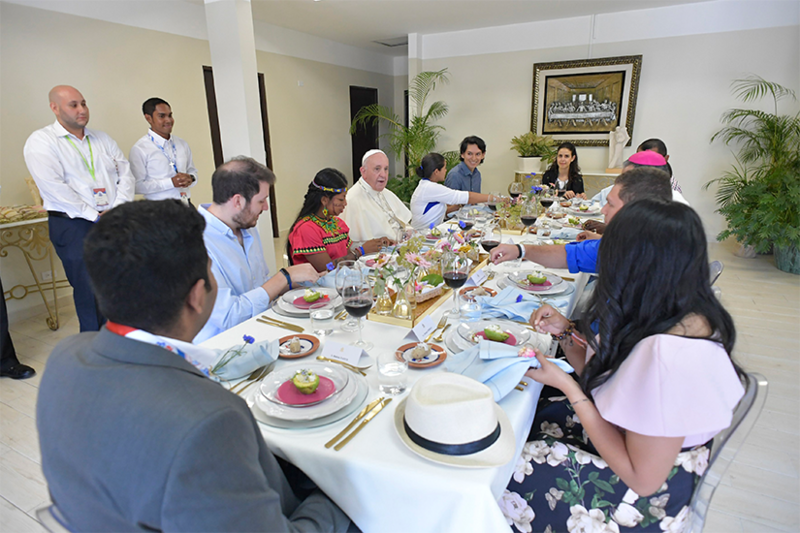 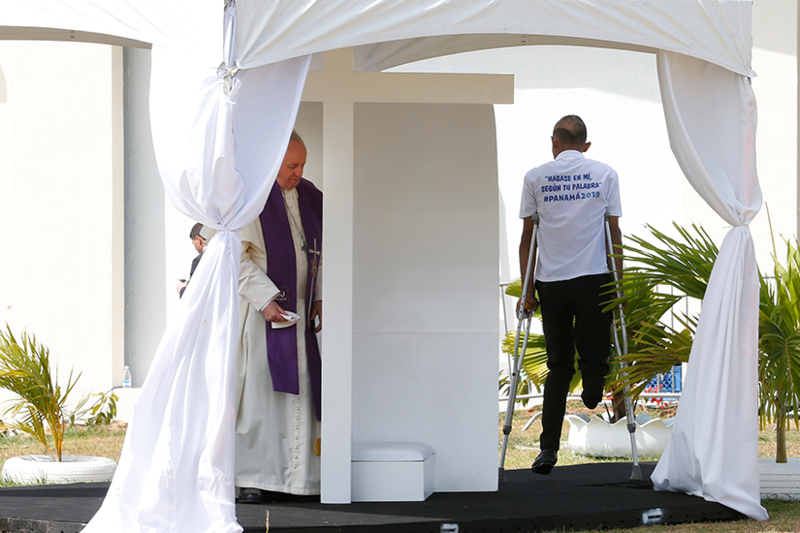 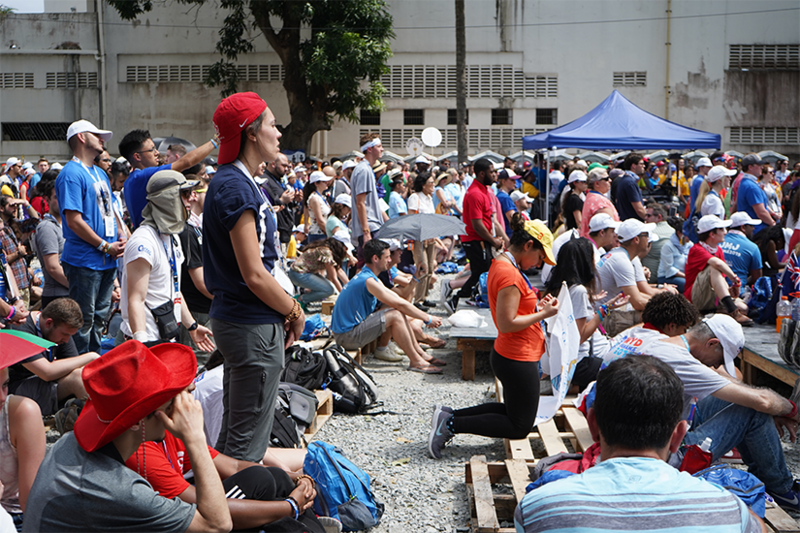 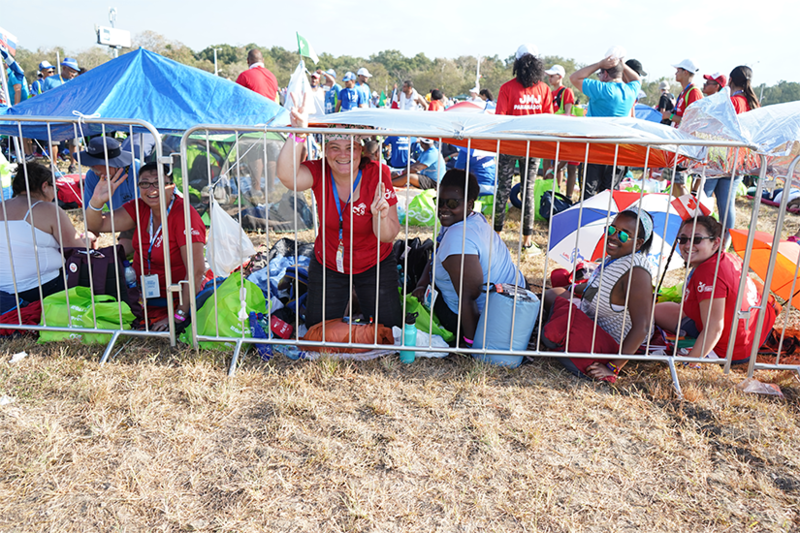 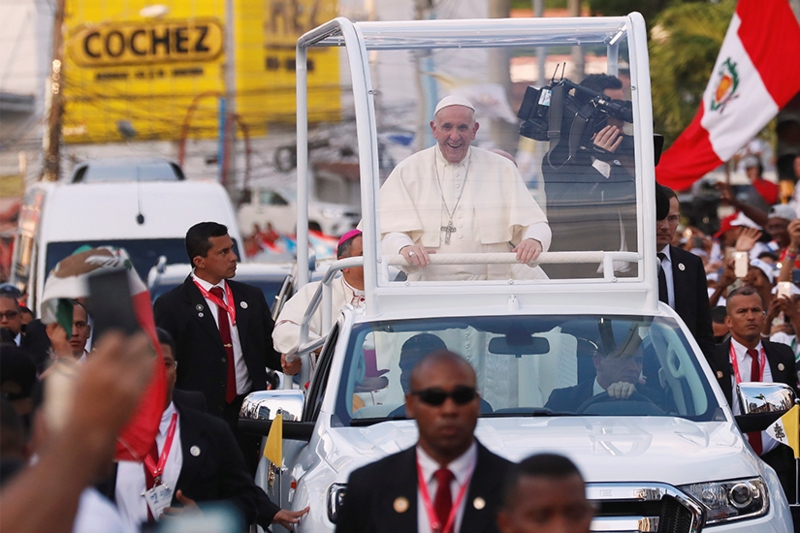 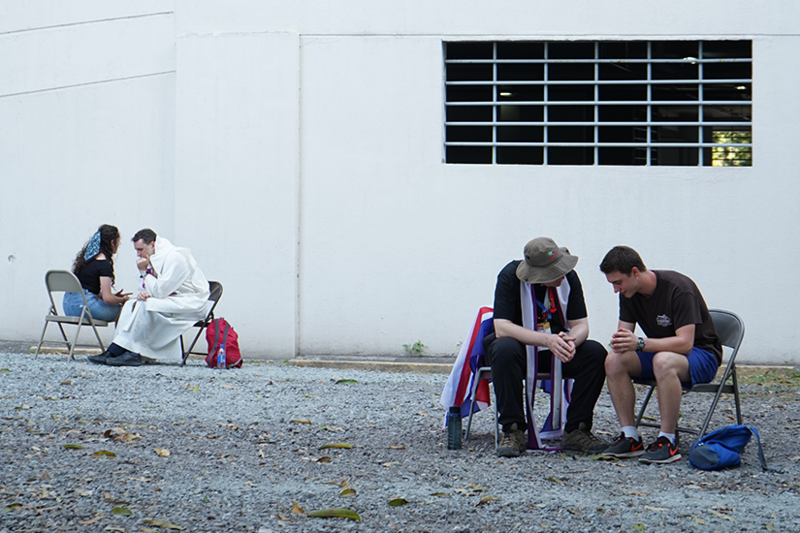 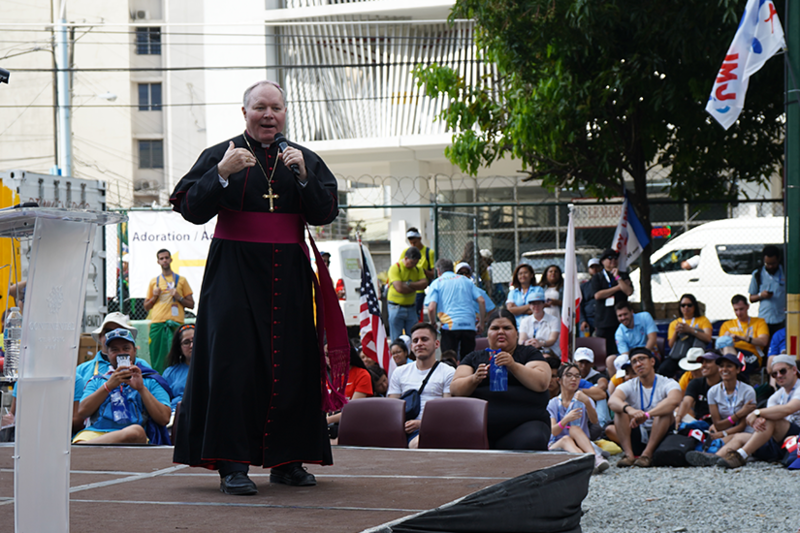 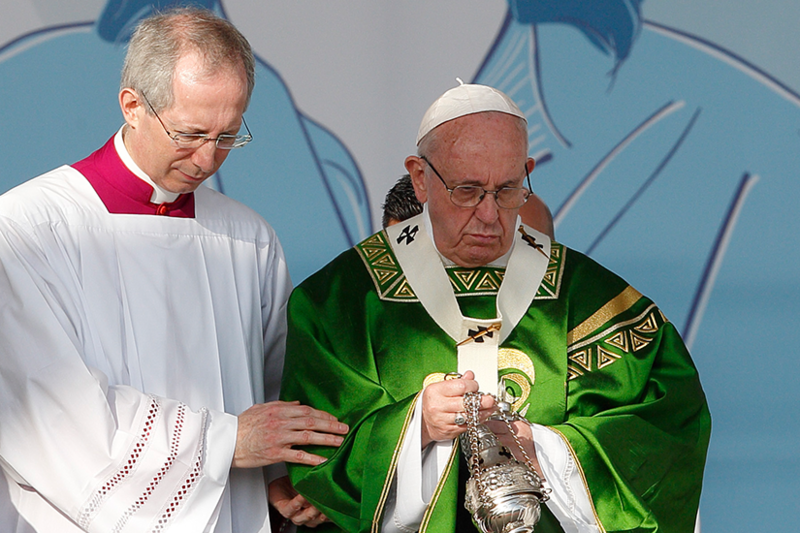 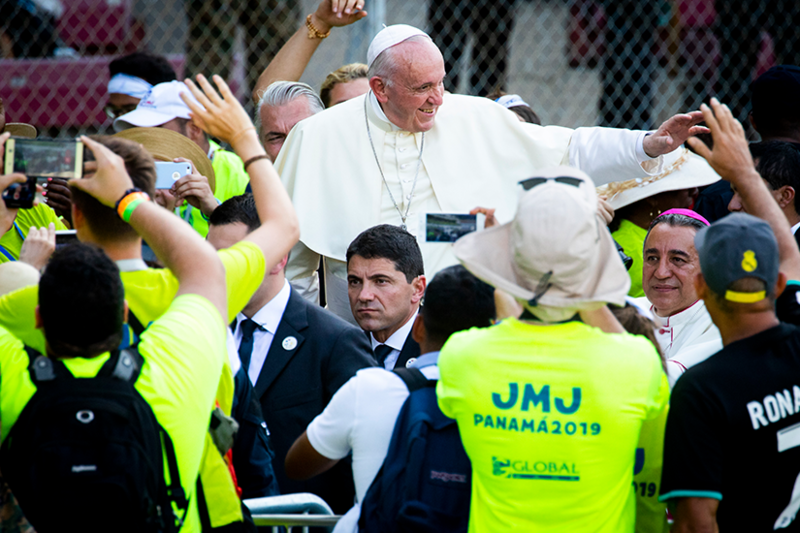 The highlights of his three days at WYD included his arrival Jan. 24, the Evening Vigil Jan. 26 and a Mass the next day to wind up the event. 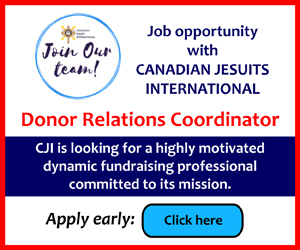 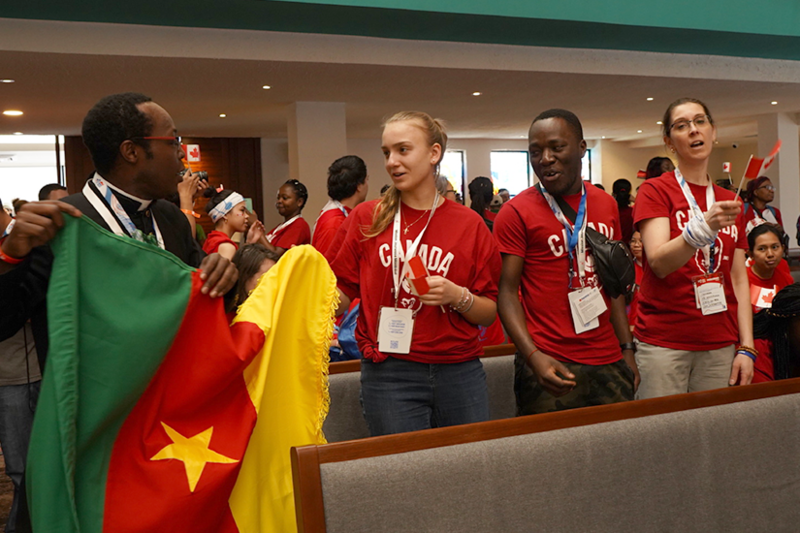 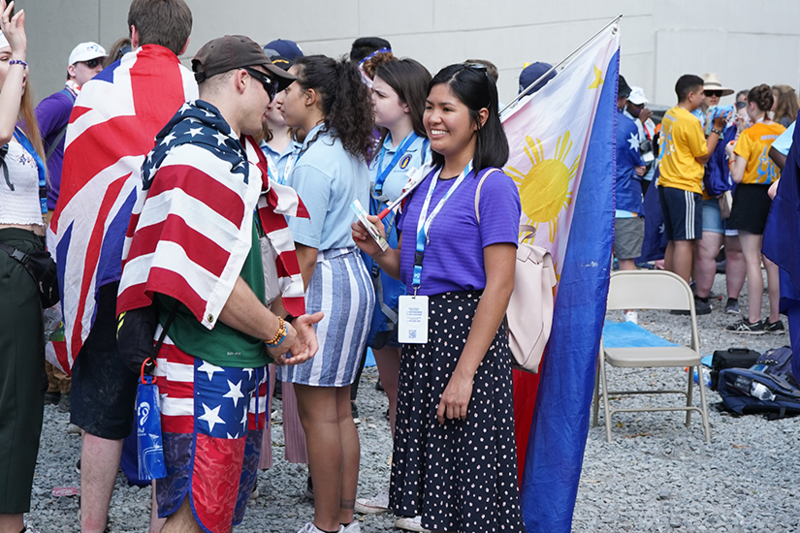 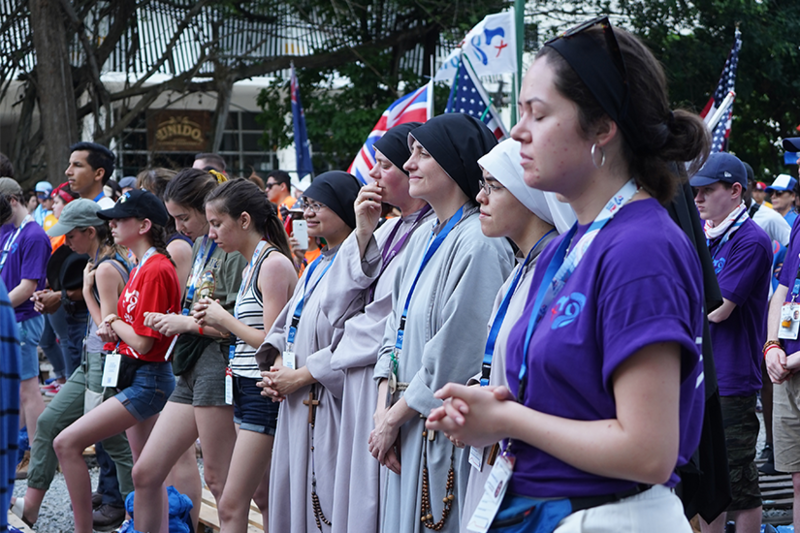 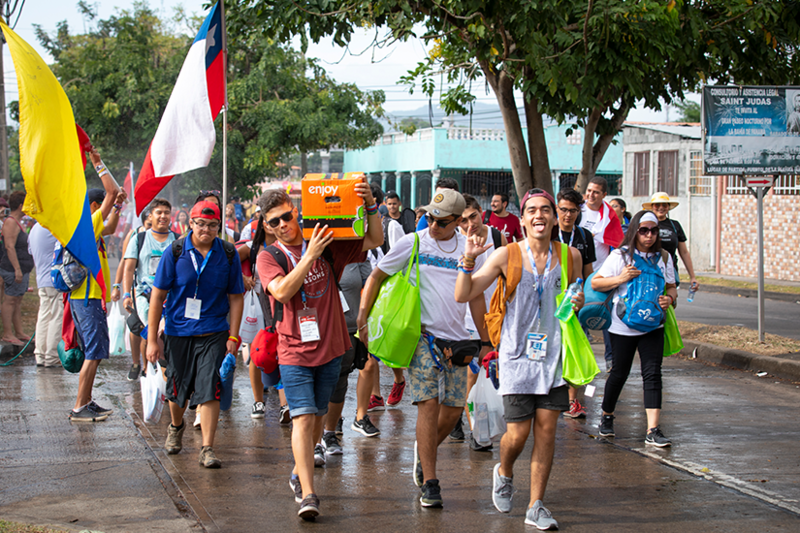 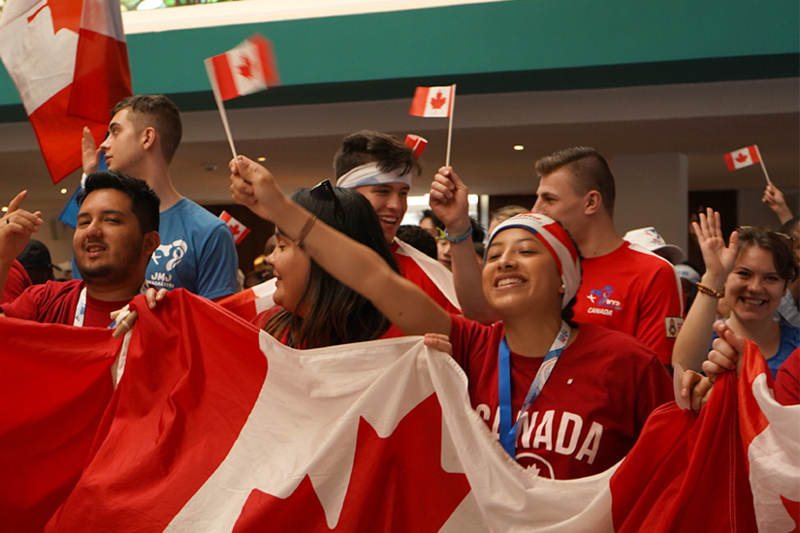 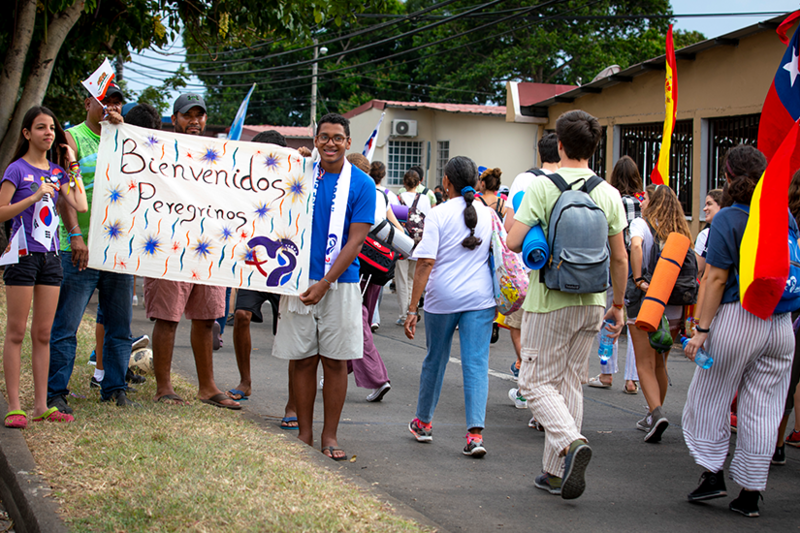 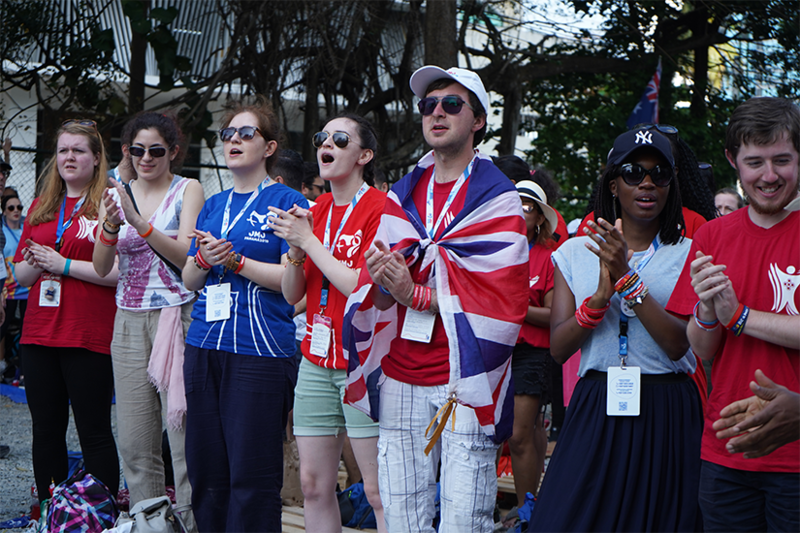 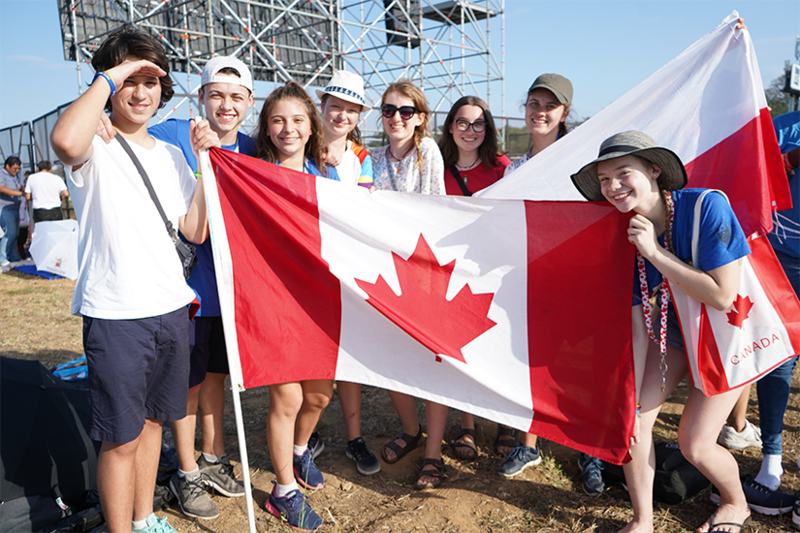 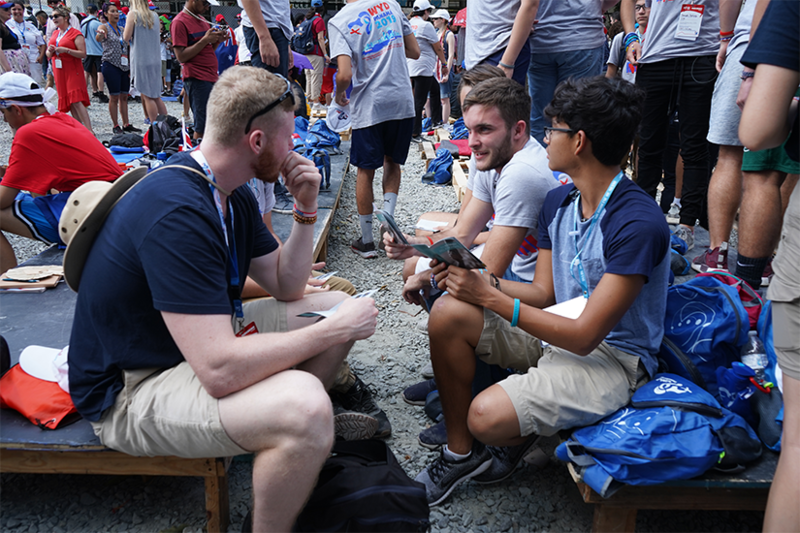 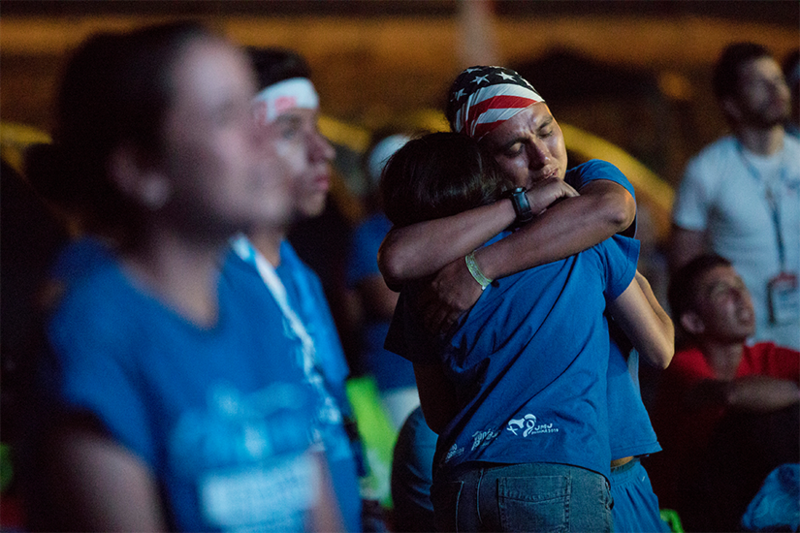 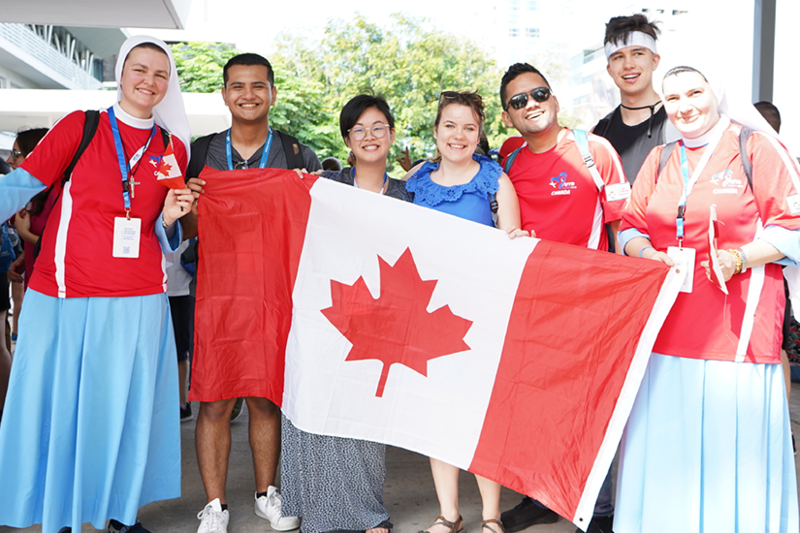 There are almost 1,400 Canadians registered for WYD and since 2002, it has been a tradition for Canadians to kick off the week of celebration together. 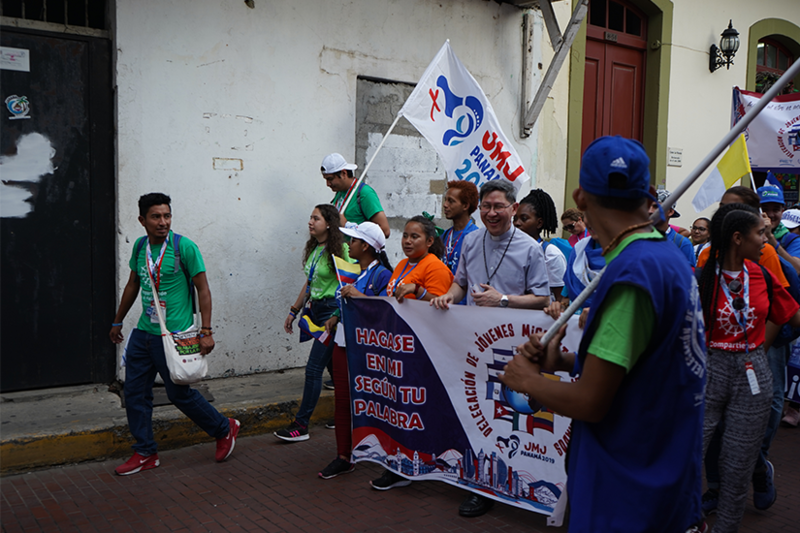 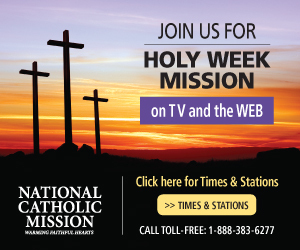 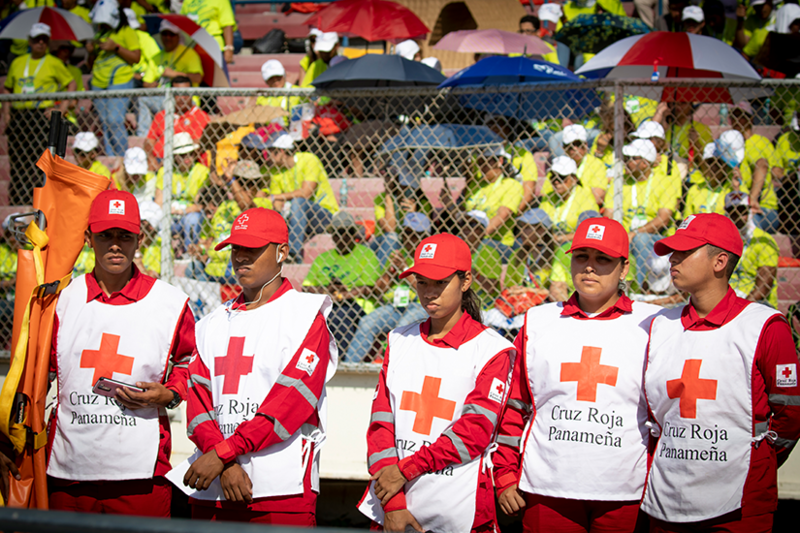 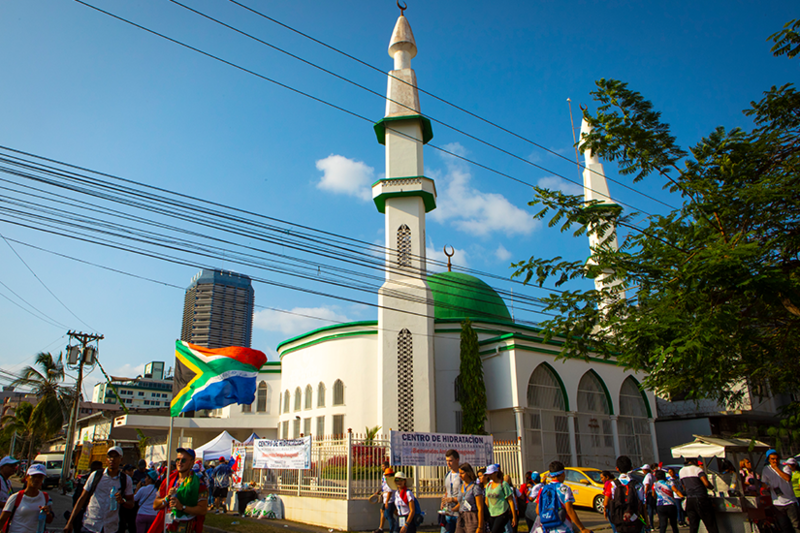 Correa said it helps pilgrims enter into this pilgrimage experience together. 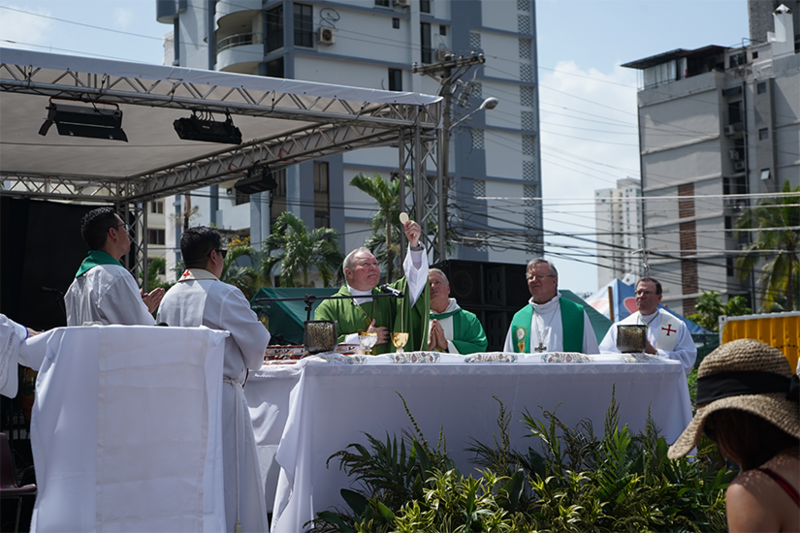 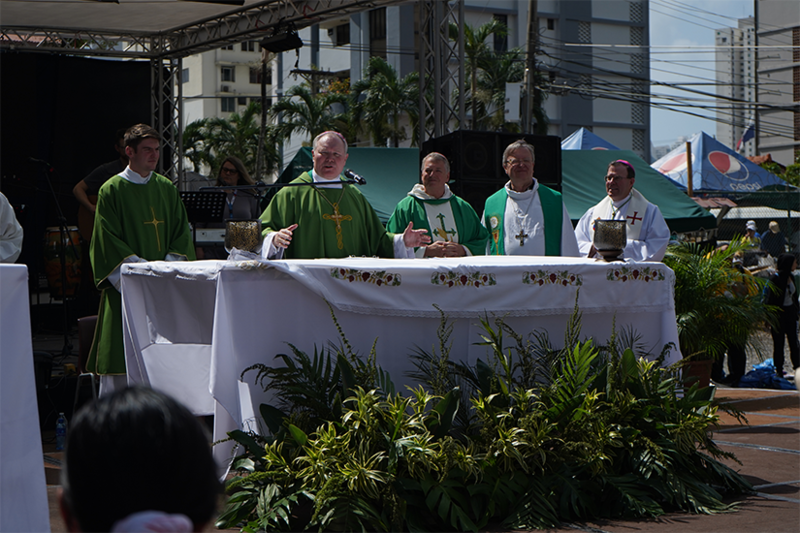 Seven of nine Canadian bishops in Panama also joined the youth in song and celebration. 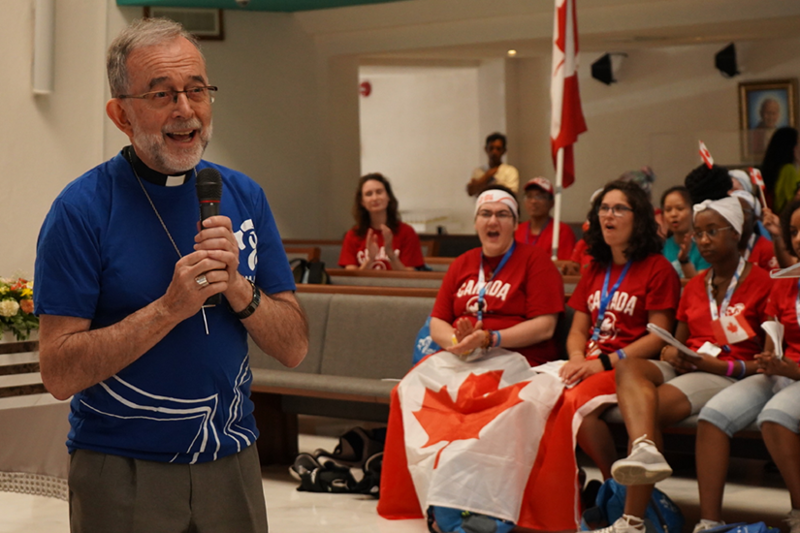 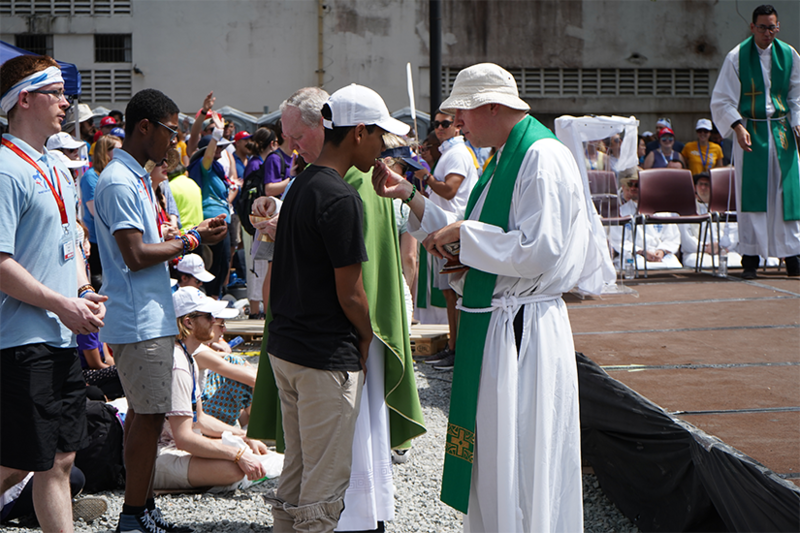 Canadian conference president and Saint-Jean Longueuil Bishop Lionel Gendron told pilgrims that when they share their photos, they share with others the joy of World Youth Day and the joy found in Jesus. 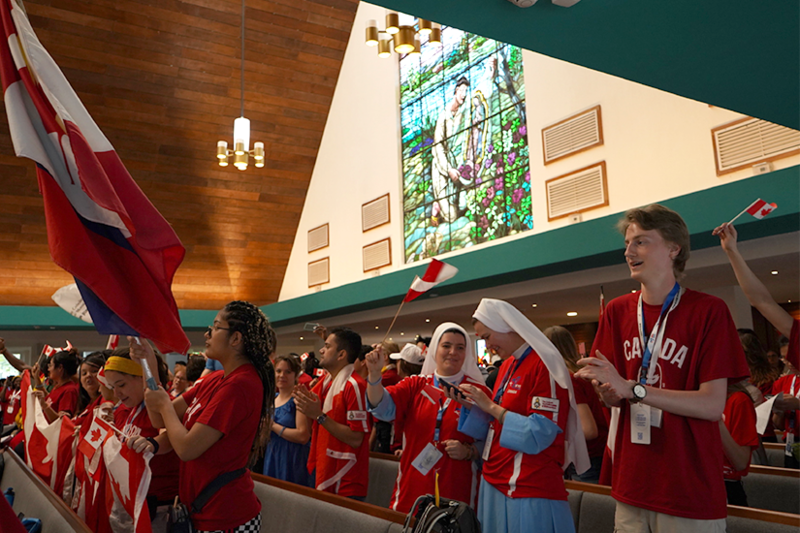 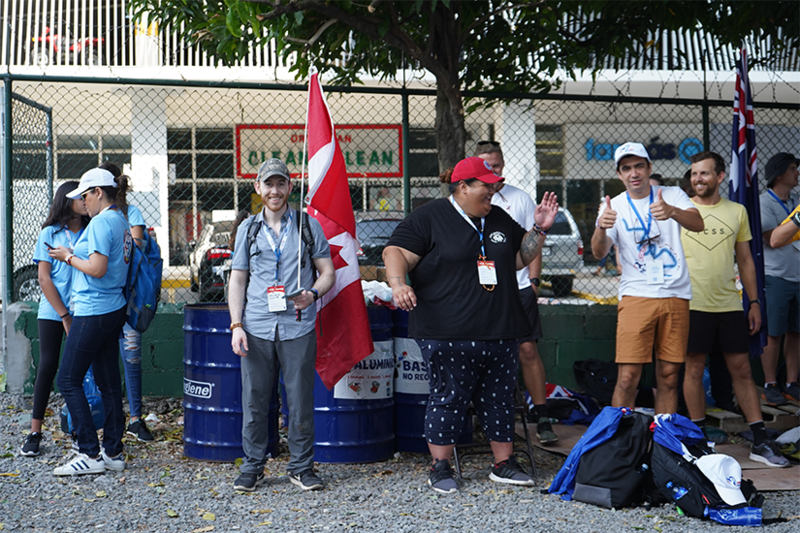 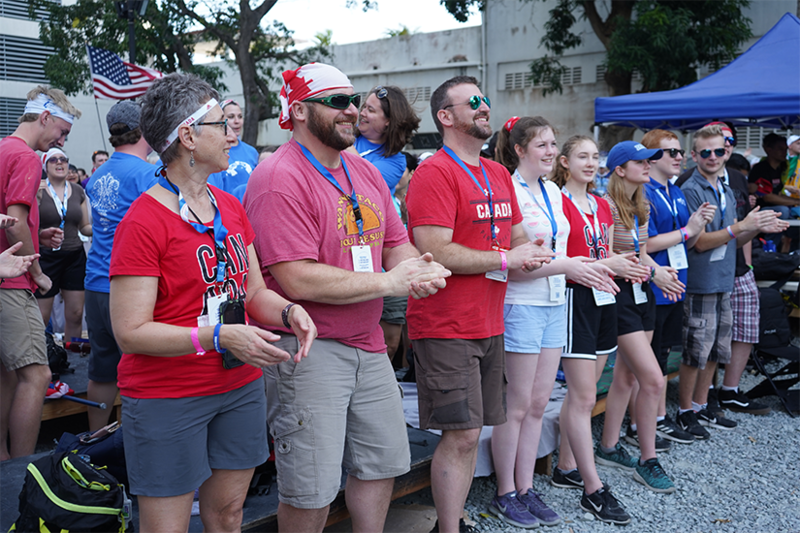 In true WYD style, the gathering ended with WYD Canada leaders teaching the group some Canadian cheers to share with other international pilgrims. 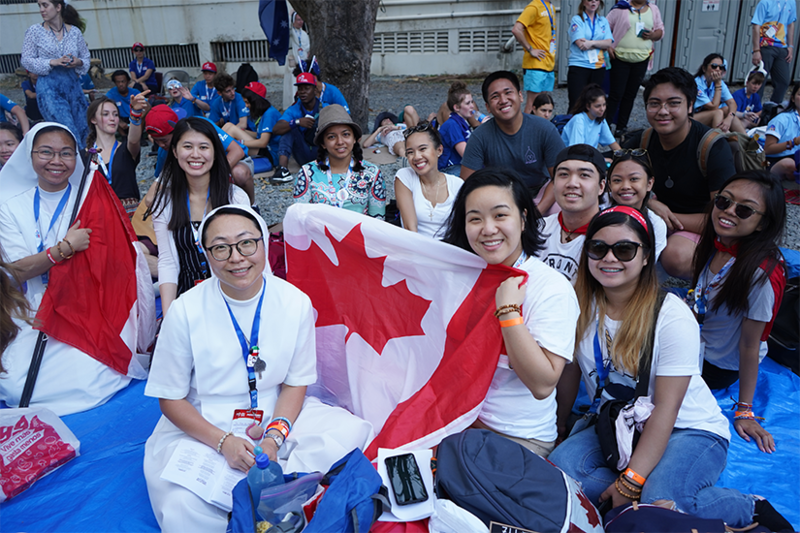 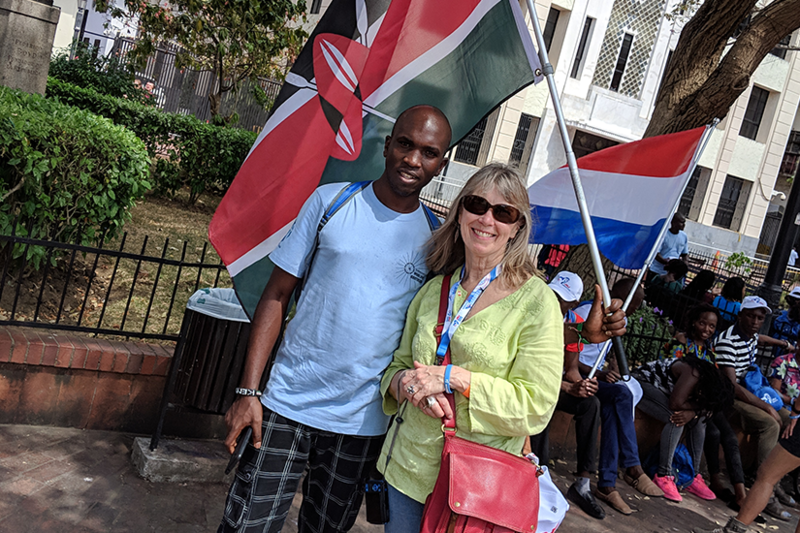 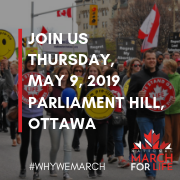 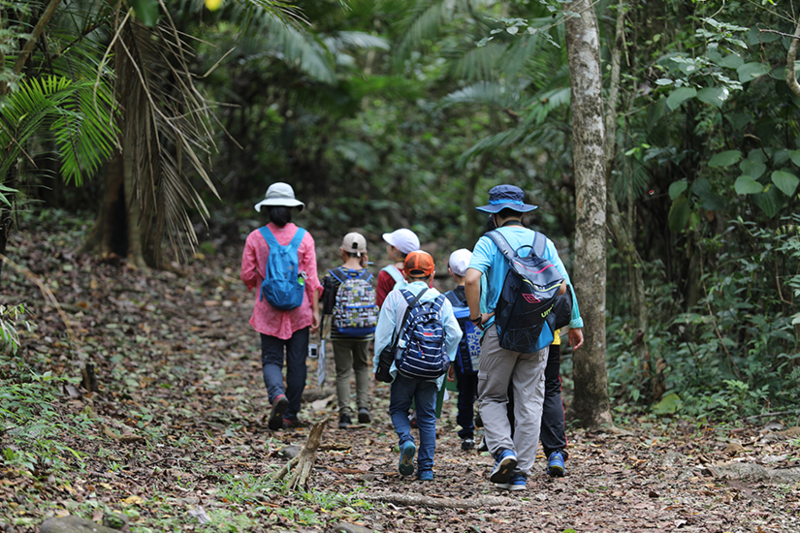 “This morning was exceptionally nice to see other Canadians here who have travelled as we have and just to grow together in our faith,” said Amanda Tse, a pilgrim from St. Justin Martyr Parish in Markham, Ont.